These packs were originally sent out through patreon on the respective date they display and made available again through itch.io ! Bundled in this download you will find the links for the respective folders from each tier for the pack! Map sprites, animation source files and portraits are contained in the dragon folder. 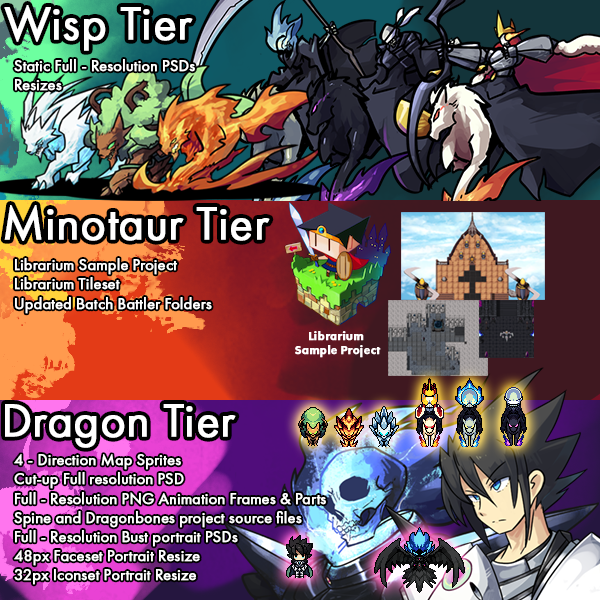 The minotaur folder has the tileset, Sample project database and battler batch folders with what were the most up to date versions of them at the time of the pack's original release. The wisp folder contains all the full-resolution static battlers for the featured releases during the featured period and their staple resizes(Large, Medium, Small)! 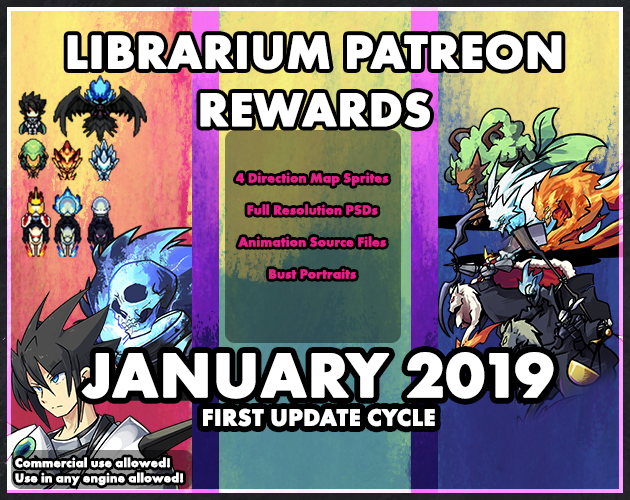 Due to these being older reward releases, their contents may vary from the most up to date reward schemes available on patreon today! These rewards are offered exactly as they were on their first release! 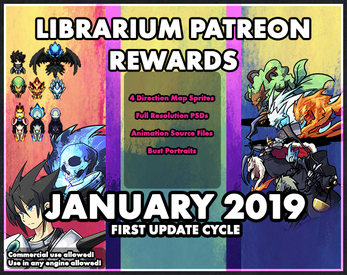 Join Librarium's patreon today to access the latest battler base releases & rewards content!